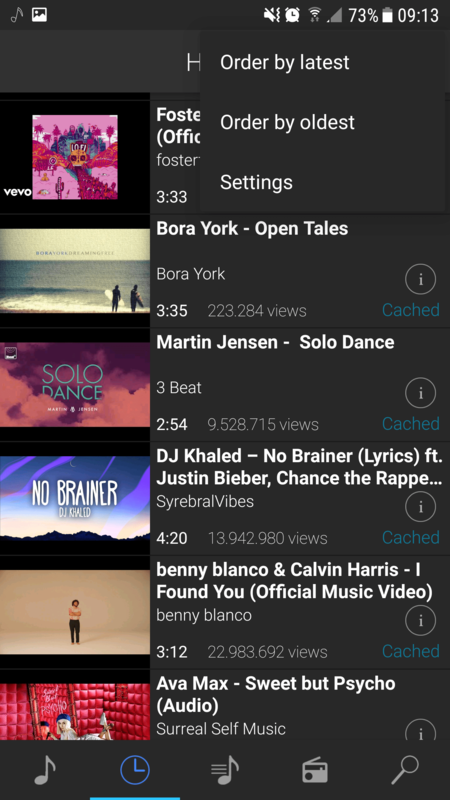 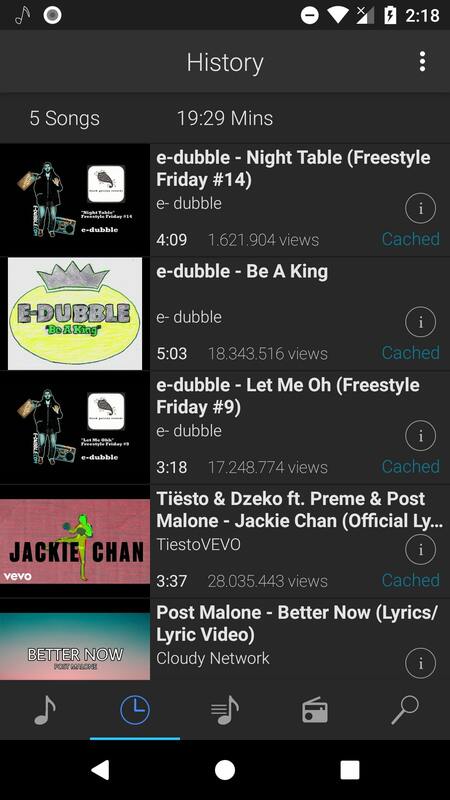 YouPlay is an app that gives you access to today's hit music so you can play it, view recommendations and even play them automatically as well as create playlists. 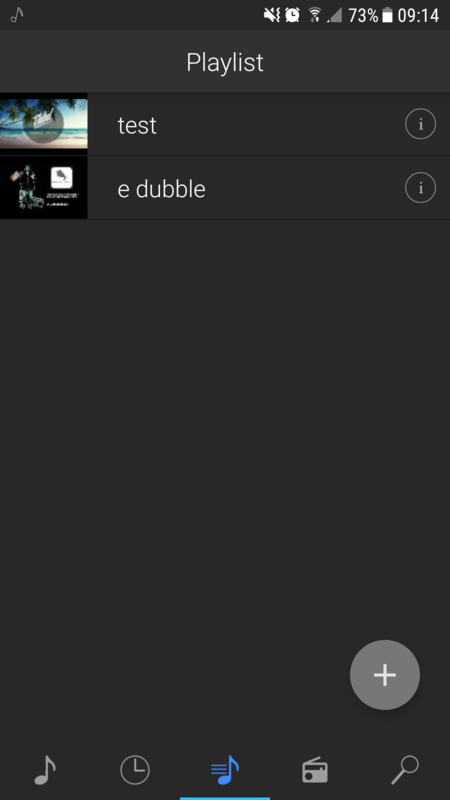 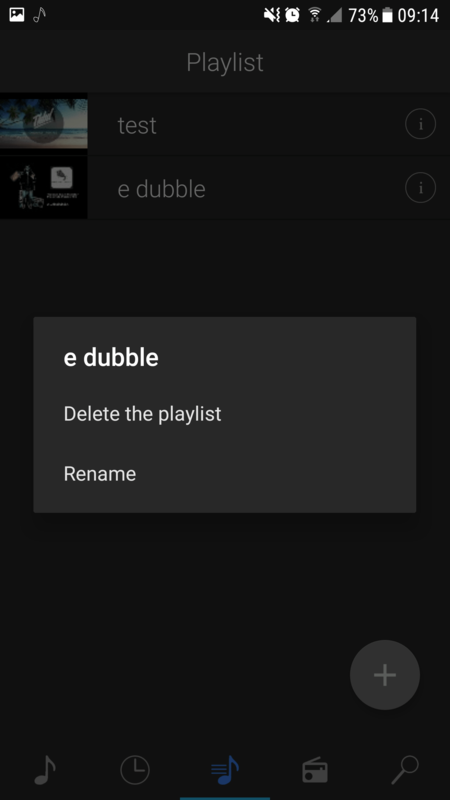 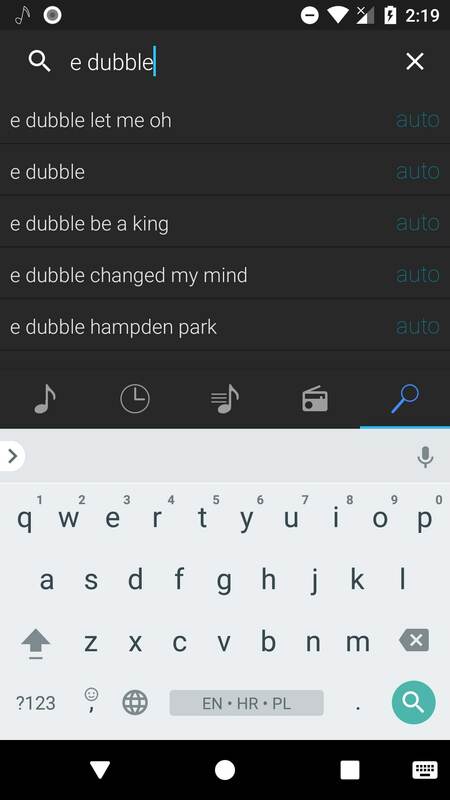 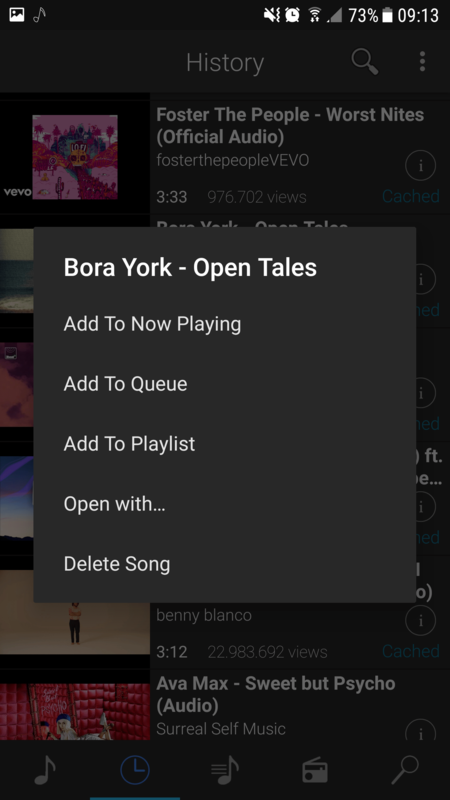 Play screen shows you currently playing song and suggestions on lower part, holding song in suggestions screen removes song from queue. 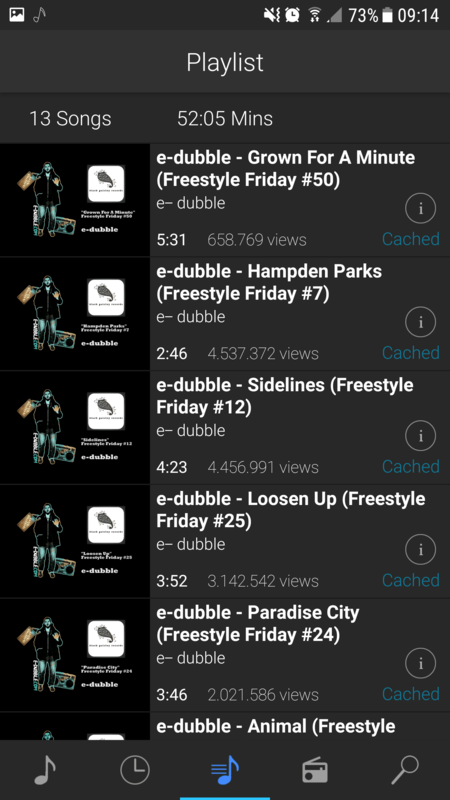 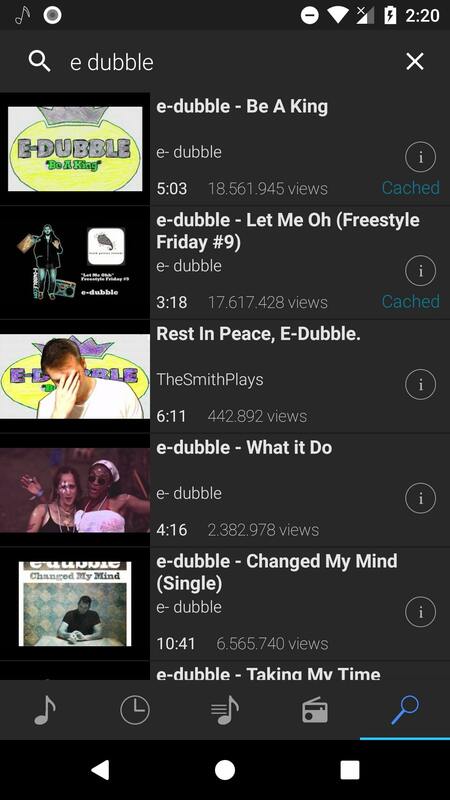 History screen shows all song that were downloaded and played. 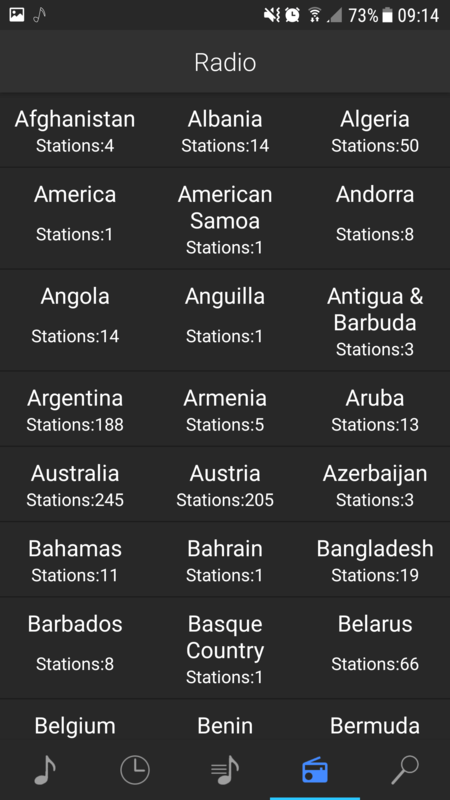 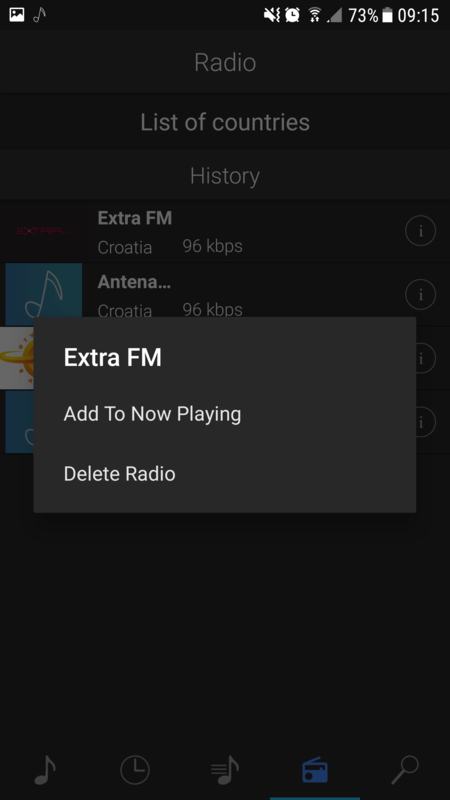 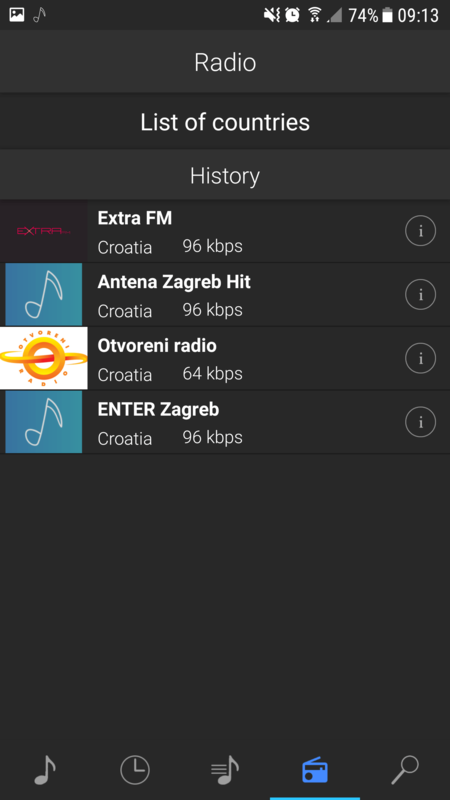 Radio screen shows you all available radio stations, currently 20000+ stations.